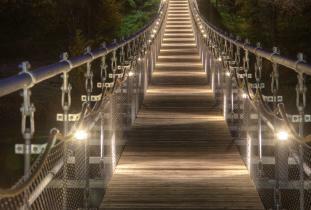 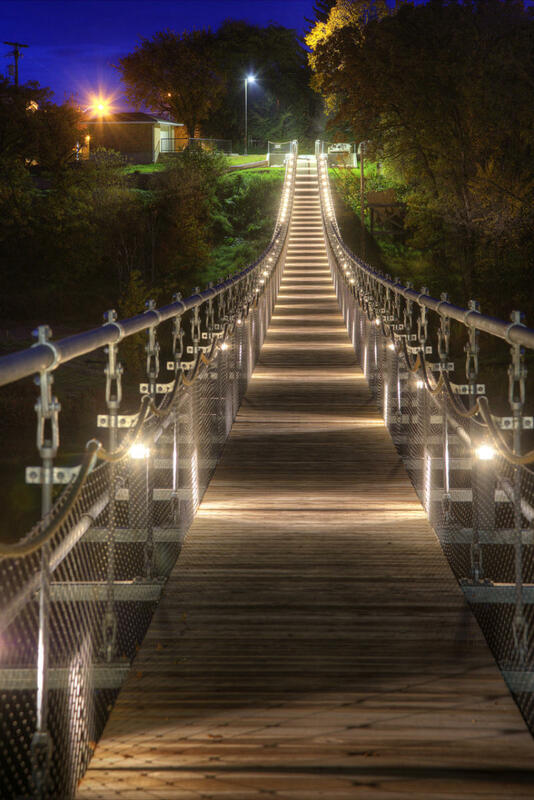 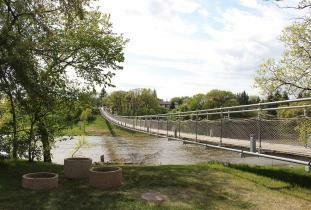 Souris welcomes you to cross its new 184 metre suspension pedestrian footbridge. 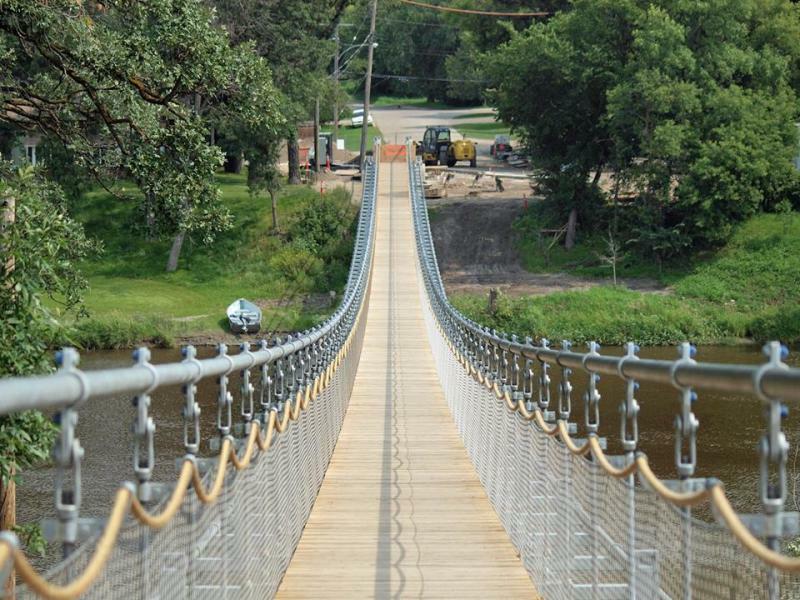 Completed at the end of August 2013, the new longer bridge allows Souris to reclaim the title of the longest swinging bridge in Canada. 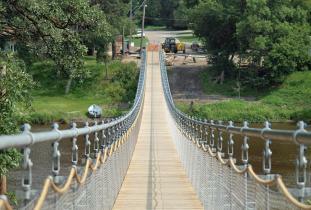 Address: Souris Swinging Bridge Souris, MB .